I’ve shared some of my favorite Valentine’s Day gifts the past few weeks, and they are great gifts! But, what if your budget doesn’t allow for gifts? Sometimes, it happens! We have certainly been there. Not to mention, sometimes…a gift that costs nothing means more than an expensive gift. Today, I’m sharing some of my favorite Valentine’s Day Gifts That Don’t Cost a Dime. I used to write my hubby letters all the time when we were dating. Then real life started, and I don’t really write them anymore. Sometimes, a heartfelt letter is the perfect gift! You can write or print ‘coupons’ for your Valentine. They don’t have to be fancy, just thoughtful. Things such as a foot rub, dinner of his/her choice, a night playing cards, etc. Whatever your special someone likes likes, these are sure to be a hit! Most guys won’t admit it, but they love a good back massage or foot massage. Since I’ve started using Essential Oils, my hubby has been a little skeptical. His back was hurting the other night, so I used some of my favorite oils and gave him a back massage. Not only did the oils help to relax him, the massage was also a nice treat for him after a long hard day. A massage is the perfect idea for a Valentine’s Day gift! If you are interested in Essential Oils, I’d love for you to visit my link here. Yes, this one is simple, but it’s tried and true. Cook his or her favorite meal and make it a great evening in. Add a special touch by making their favorite dessert, also! If you aren’t super tied to having a romantic night in for Valentine’s Day, why not ask your partner’s friends and their significant others to come over for a game night and potluck dinner? Spend the day with those you care about the most! Again, not the most super romantic idea, but volunteering together can be surprisingly intimate. My hubby and I used to volunteer at a local soup kitchen and it was amazing to see how he interacted with those that were less fortunate than we were. 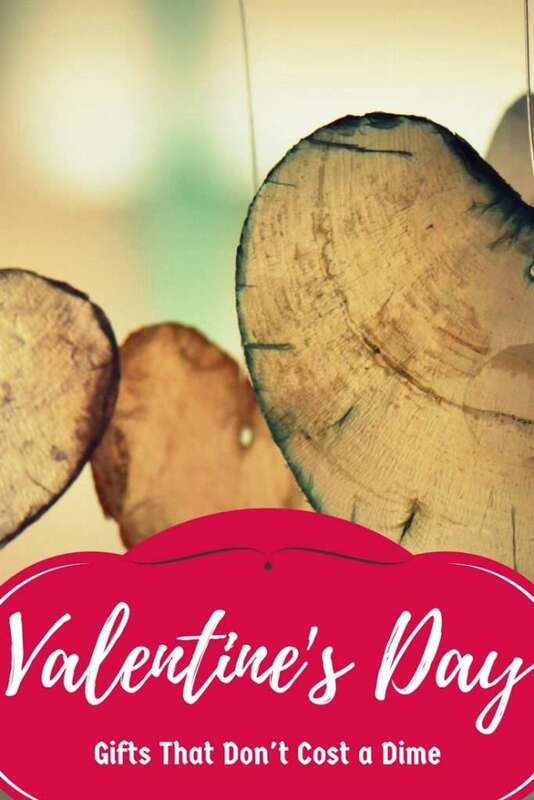 What are your favorite budget friendly Valentine’s Day ideas? I think the coupons one is such a good idea! We love writing each others letters! I save them all! These are all such great ideas. My favorite part of Valentine’s Day is the card my husband gives me every year! Cards are so special to me as well! I love these ideas! My husband and I are on a budget and we usually do stay-at-home dates. They are perfect! For sure, staying in budget is key!